The historic market town of Holywell takes its name from the famous St Winefride's Holy Well, whose reputed healing powers have attracted pilgrims for centuries, earning it a reputation as the Lourdes of Wales. The town lies among undulating countryside overlooking the Dee Estuary, and at the top of the wooded Greenfield Valley. This contains various ancient monuments, including the 8th-century Wat's Dyke and 12th-century Basingwerk Abbey, as well as the remains of mills and factories that made the valley a major industrial centre in the 18th century. Near Holywell are attractive villages, including Whitford, the home of Thomas Pennnant, the renowned 18th-century naturalist, traveller and writer. South of Holywell is Halkyn Mountain, part of Halkyn Common, an ancient urban common. 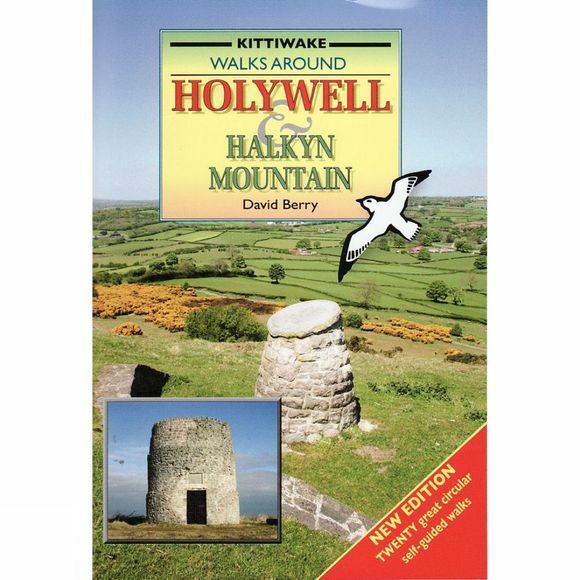 This book enables you to explore the area's delightful countryside.